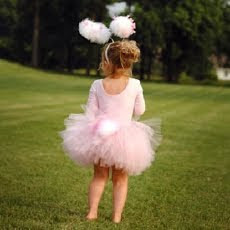 take a day to dress up and enjoy the innocent freedom that kids have. it may be an old tutu you have shoved at the bottom of your wardrobe or just a simple slip dolled up with a few pearls and ribbons. but go out and have fun. it doesn't matter if you look like a bunny... it's easter! !